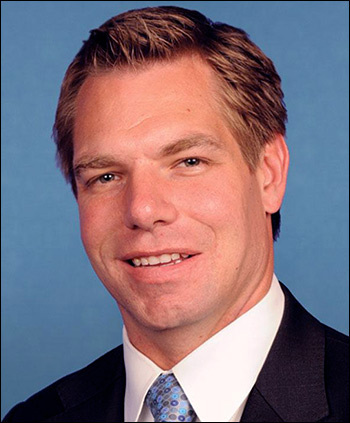 April 10, 2019 — California Rep. Eric Swalwell (D-Dublin/Hayward), who for many months has been indicating that he would run for president, finally announced his intentions Tuesday and becomes the 18th Democratic candidate. Swalwell, who will likely be a minor candidate throughout the process, has said he will not run for both president and the US House simultaneously. Therefore, expect him to depart the presidential race well in advance of the California congressional candidate filing deadline on Dec. 6. The Golden State will now hold its presidential and state primary on March 3, since the legislature and governor changed the schedule in order to provide them more influence in the presidential nomination process. But Swalwell will have to decide well in advance of the first national votes being cast as to whether he wants to relinquish a safe US House seat in order to continue in what will likely be a long shot presidential effort with little realistic hope of success. Emerson College released a new Massachusetts poll (April 4-7; 371 likely Democratic Massachusetts primary voters) that projects Sen. Bernie Sanders overtaking former Vice President Joe Biden and finding home state Sen. Elizabeth Warren running a distant third. According to the Emerson results, Sen. Sanders leads 26-23-14-11 percent over ex-VP Biden, Sen. Warren, and South Bend (IN) Mayor Pete Buttigieg. All others, including Texas former congressman, Beto O’Rourke, and Sen. Kamala Harris (D-CA), record only single-digit support. 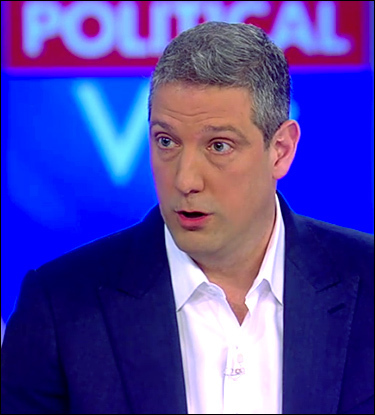 April 8, 2019 — Calling himself a “reform-minded Democrat” who is “for the free enterprise system,” and a “progressive who knows how to talk to working-class people,” Ohio Rep. Tim Ryan (D-Youngstown) announced his presidential campaign at the end of last week. Rep. Ryan becomes the 17th official presidential candidate, but he will not necessarily be leaving the House if he loses his long shot national bid. 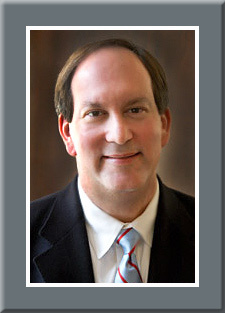 Under Ohio election law, individuals may simultaneously run for more than one office and the congressman says he will also file for re-election. More announcements are expected in April. As we have recently seen, it appears former Vice President Joe Biden will soon enter the race, as will at least one and possibly a second House member. California Rep. Eric Swalwell (D-Dublin/Hayward) will reportedly announce his presidential campaign next week, an effort he has been discussing for more than a year. Swalwell is saying he won’t run for both offices as is Rep. Ryan, but he does leave himself a path to return to the House. Rep. Swalwell indicates that if his presidential effort isn’t proceeding as planned when the California candidate filing deadline approaches, he could end his national campaign and then file for re-election. April 4, 2019 — Former Vice President Joe Biden has been under attack in recent days over past inappropriate behavior around women but, so far, it hasn’t yet damaged his standing with Democratic primary voters according to the latest monthly Morning Consult poll (March 25-29; 12,940 US likely Democratic primary or caucus voters). 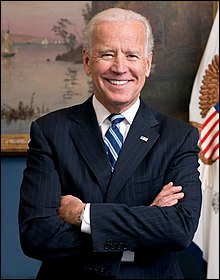 While Biden has been hit with a series of negative articles and television news reports, which may be only the beginning of political assaults as the other candidates need to dislodge the former vice president from the front runner position, he still stands atop the Democratic field with his best showing from any recent poll. According to the Morning Consult data, Biden has open up a 33-25-8-8 percent advantage over Vermont Sen. Bernie Sanders, Sen. Kamala Harris (D-CA), and ex-Rep. Beto O’Rourke (D-TX), respectively. The 33 percent figure is the single-best number that Biden has attracted from any poll during his pre-announcement period. For his part, Sen. Sanders continues to command a strong-second place position, while Harris drops back a bit from her 10 percent showing in the March 10 Morning Consult track. Her high point from any MC survey came in early February when she touched 14 percent. O’Rourke continues to hover consistently around his eight percent mark, always placing either in third or fourth position.